We have already seen the Innovative mind of Jay Whitacre at Aquion Energy which have been developing a long-lived, eco-friendly and inexpensive battery out of nothing more than salt water and other simple components. Jay Whitacre is the founder and CTO of Aquion Energy. Before his role at Aquion, Whitacre worked on energy storage for NASA's Mars rover program. Aquion Energy manufactures clean and sustainable saltwater batteries that outlive and outperform traditional battery chemistries. 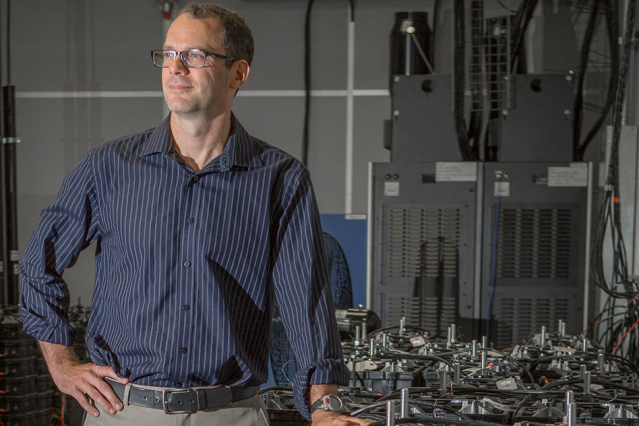 As per the latest press release of MIT news on 15th Sep 15, Jay Whitacre, a materials scientist and professor at Carnegie Mellon University’s College of Engineering, is the recipient of the 2015 $500,000 Lemelson-MIT Prize. Whitacre is the inventor of the Aqueous Hybrid Ion (AHI) battery, a reliable, environmentally-benign and cost-efficient energy storage system. This first-of-its-kind battery, often used in combination with solar and wind energy systems, stores significant amounts of energy at a low cost per joule and allows for around-the-clock consumption. Whitacre’s AHI battery, developed using abundant and inexpensive resources including water, sodium and carbon, can help reduce dependence on fossil fuels and make sustainable energy a viable alternative. The company that Whitacre founded, Aquion Energy, has fully scaled manufacturing and commercialized the battery with global distribution channels and installations in many locations including Australia, California, Germany, Hawaii, Malaysia, and the Philippines.